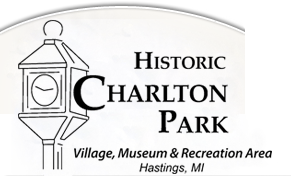 Historic Charlton Park's Rental of the Church for a wedding runs from mid April until mid October. The rental fee is $500-$600 per day for use of the church and basement. To request a date, contact the Park office or fill out our Reservation Request Form. To view photos of the Church, please click here. To see professional wedding photos taken by Brander Photography at Historic Charlton Park, click here.